The hotel offers spacious and nicely refined rooms. Cruccuris Resort is 900 meters from the beautiful Campus Beach and a few kilometres from the most beautiful beaches of Villasimius coast. It used to be a fishing village, Villasimius is, nowadays, one of the major Touristic area in Sardinia. Its coasts, which look south-east, are an endless sequence of white sandy beaches, small coves and bays, the perfect location for those who are seeking for amazing and still natural beach life. The closest beach is "Campus" at 900 m from the hotel. It’s the best choice for beach lovers who wish to discover a new cove every day with their car. The Cruccuris Resort, built in 2005, it’s a 4 star hotel in Villasimius divided in 4 blocks, among them connected by small paths surrounded by a deep nature that joint 2 superb swimming pools. The Cruccuris Resort is a haven of peace and tranquillity from where its visitors need never stray. The tranquil waters of the luxuriously designed swimming pools allow you to relax and unwind in unparalleled surroundings. All 49 rooms at the Cruccuris Resort, Classic, Deluxe, Junior Suite and Suite (with Jacuzzi shower), some of them located at the ground and some at the first floor and distribuetet on the four resort buildings. They are comfortably furnished, they are faced towards the “Campus” beach, part of protect Marine area of “Capo Carbonara”. Every room of the inviting Cruccuris Resort features AC, sat-tv, hair dryer, safety box, internet connection, balcony or patio. The services offered at the Cruccuris Resort are the reception, a smart boutique, the American bar, the pool bar, the breakfast room, the restaurant, the TV room and two swimming pools. Small dogs, up to max. 10 kg, are welcome on request and are not allowed in the dining areas. A shuttle service is available to reach the beach of the sister Hotel Stella Maris, upon purchase of the beach service. The beach service has to be booked in advance and is upon availability. City tax – of € 4.00 per person/overnight, to be paid on-site. Children under 10 years are exempted. The comfortable double rooms are located on the ground floor. 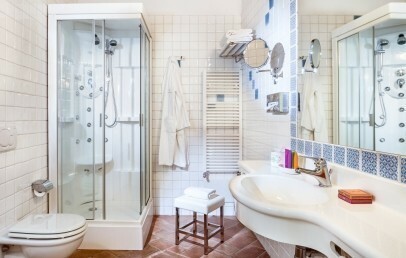 The private bath room has a shower, hairdryer and toiletries. Classic rooms face the garden and have a patio with chairs and a table. 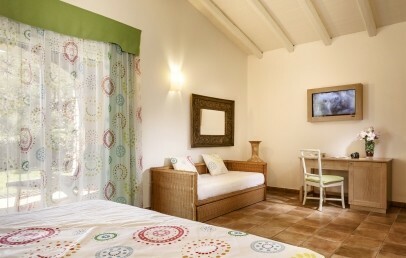 The comfortable double rooms are located on the first floor. The private bath room has a shower, hairdryer and toiletries. Deluxe rooms face the sea and have a spacious panoramic terrace. The comfortable Junior Suite is located on the ground floor. The private bath room has a shower massaging jets, hairdryer and toiletries. The Junior Suite has a private garden. 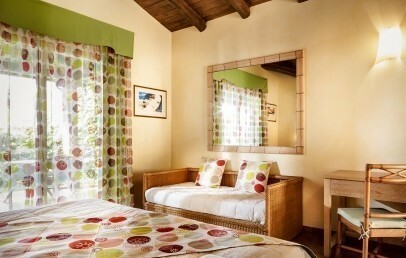 The elegant and romantic Suites are ideal for a stay of a couple. They consist of a spacious bed room and a cosy living room. 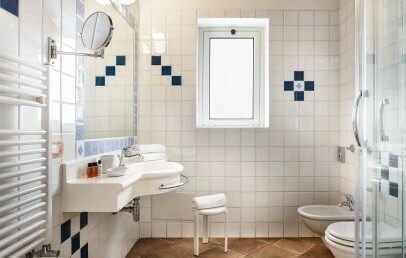 The private bath room has a whirlpool shower, hair dryer and toiletries. 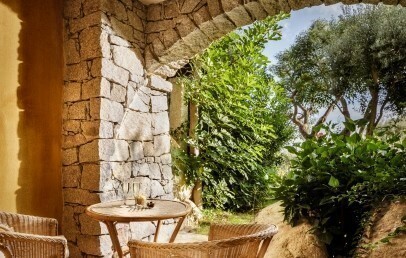 The Suites have a private terrace with a panoramic view of the sea. Early Booking Rate - Book within April 30th 2019 and get a 10% reduction on your stay. The meals for the baby (0 - 2 y.o.) are to be paid locally, à la carte.